Are you ready for the DELE exam? The D.E.L.E. 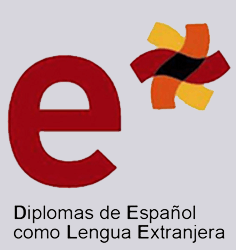 Certificate (Diplomas en Español como Lengua Extranjera ) is the most recognized and dificult Spanish certificate in the world. The exam is organized by the Instituto Cervates and the University of Salamaca and issued and recognized by the Ministry of Education, Culture and Sport of Spain. So how do you know if you are ready? Here are a few questions you can ask yourself to decide. Are you confident in your current Spanish vocabulary level? Do you understand all of the Spanish grammar rules? Can you confidently write a Spanish essay? Is your spoken Spanish at a high enough level? Do you understand the structure of the DELE exam? Are you comfortable using the expert tricks on the DELE exam? If you answered 'no' to any of those questions, you may want to speak with one of Live Lingua's DELE tutors. The first trial DELE class is absolutely free. You can speak with the tutor to see if they think you are ready for the DELE test and they can propose a study plan for you. No credit card required, and no commitment. Do you have any questions about the DELE Level A1 exam? You can speak to one of our DELE tutors for free to ask any question you may have. They will speak with you and evaluate how prepared you are. Do you have any questions about the DELE Level A2 exam? You can speak to one of our DELE tutors for free to ask any question you may have. They will speak with you and evaluate how prepared you are. Do you have any questions about the DELE Level B1 exam? You can speak to one of our DELE tutors for free to ask any question you may have. They will speak with you and evaluate how prepared you are. Do you have any questions about the DELE Level B2 exam? You can speak to one of our DELE tutors for free to ask any question you may have. They will speak with you and evaluate how prepared you are. Do you have any questions about the DELE Level C1 exam? You can speak to one of our DELE tutors for free to ask any question you may have. They will speak with you and evaluate how prepared you are. Do you have any questions about the DELE Level C2 exam? You can speak to one of our DELE tutors for free to ask any question you may have. They will speak with you and evaluate how prepared you are. Speak To A DELE Tutor Today! What makes Live Lingua DELE tutoring different from the local tutors or enrolling at a local language school? And best of all, we let you meet and speak to your future DELE tutors before having to commit to paid classes! The more DELE lessons you enroll in at the same time, the cheaper the hour of class gets. Still not sure if Live Lingua DELE tutoring is the right choice for you? Then just try a free lesson with one of our tutors to make sure. No risk, no commitment. Take a 60 minute trial Skype DELE lesson with one of our Skype Spanish teachers. No credit card required. Michisimas gracias a Live Lingua! I just got my DELE B1 certificate and I am the happiest person in the world. As you know I did not pass the first time. Now I can't wait to work with you guys to get by C1. I am retired, and one of my life goals in live was to get the superior certificate [on the DELE exam]. I studied in a number of immersion schools in Spain and Argentina, and even took some of their DELE courses, but I was never able to pass to this final level. Thankfully one of the students I had class with in Spain mentioned you guys. I am glad I found you, and thank you for helping me pass this last hurdle. I would definately recommend Live Lingua for DELE tutoring.